Neapolitan Cupcakes from I am Baker! One of the very first blogs I started following after I began blogging was I am Baker. She loves Neapolitan desserts and is always coming up with new Neapolitan creations, like cakes, cupcakes, cookies, and bars. 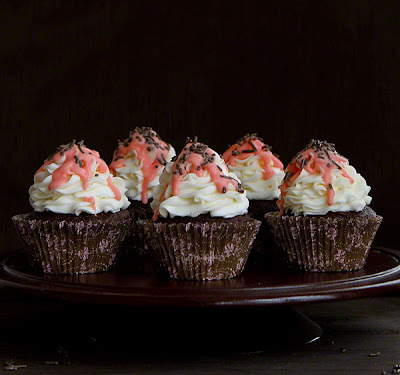 These Neapolitan Cupcakes are chocolate with vanilla buttercream and strawberry chocolate coating. The strawberry coating can also be adapted to almost any flavor and color! Check out the whole post here!